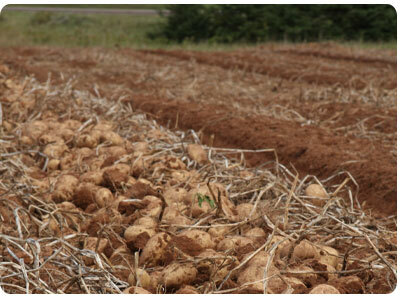 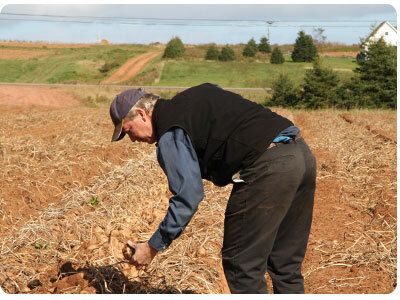 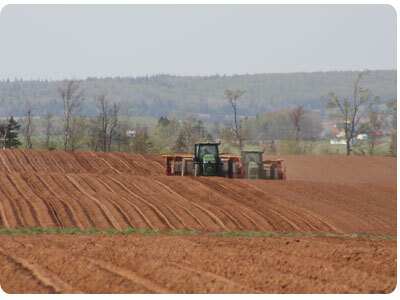 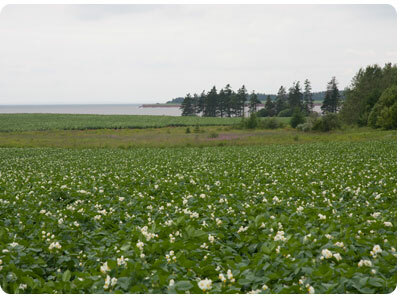 Prince Edward Island’s rich red soil is perfectly suited to growing potatoes. 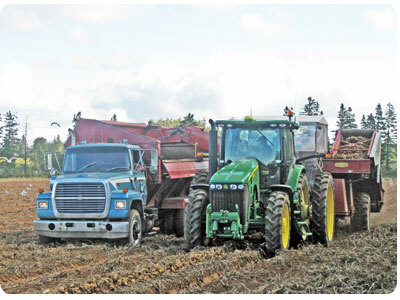 From preparing the fields and planting in the spring, to pest management during the hot summer days, to harvest during September and October, our staff work hard to ensure a quality product for shipping during the winter months. 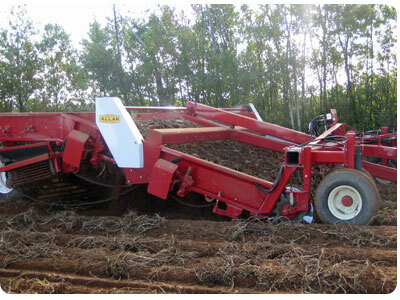 Monaghan Farms has made strategic investments in industry leading planting equipment. 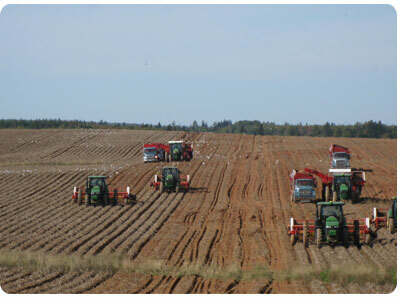 The two six row Grimme cup planters plant the potato crop. 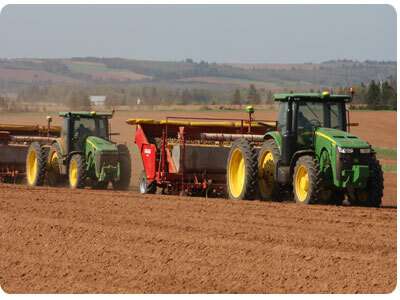 The planters have the capability for accurate seed spacing which ensures highest yield potential and quality for our customers. 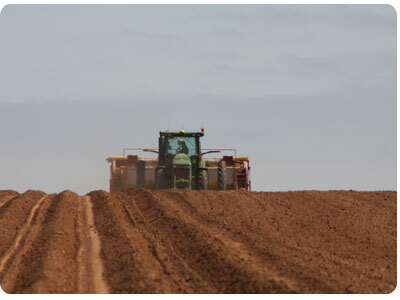 The tractors powering the planters are equipped with Global Positioning Systems (GPS) that drive efficiencies. 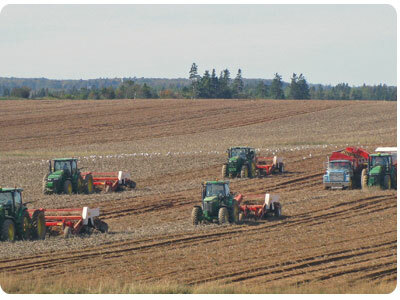 The GPS systems are sub inch accuracy which ensures that valuable land resources are used to its fullest potential. 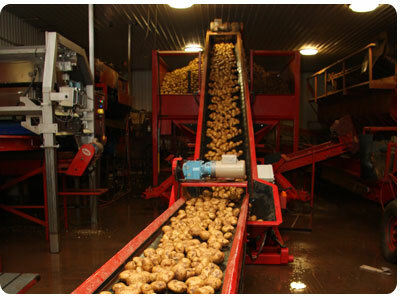 As harvest time approaches, our quality control team tests the potatoes extensively for sugar content. 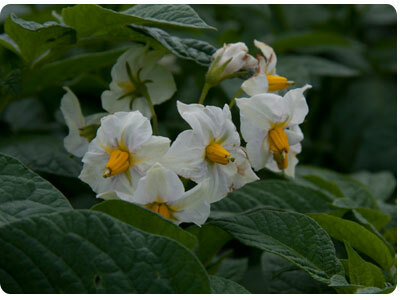 To ensure that harvest occurs with optimal timing and results, we use Yellow Springs Instrument technology to measure sucrose and dextrose so ideal levels are achieved to ensure a white potato chip. 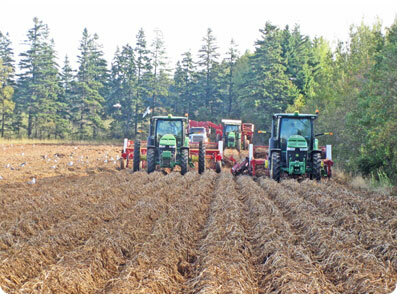 The harvesting equipment is purchased from a local manufacturing dealer, and is designed to our particular specifications to mitigate drops throughout our harvest and ensures low potato bruising. 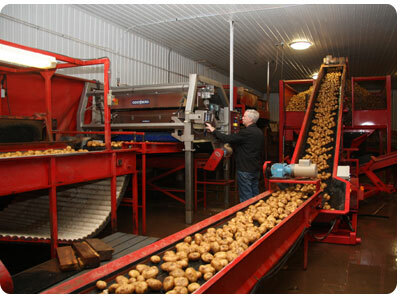 We also use tools such as a “hot box” where sampled potatoes are placed into a room, stored for 24 hours at 100 degrees Fahrenheit. 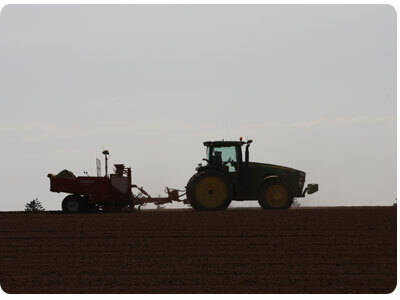 This process allows accelerated cell damage and helps us identify problematic harvesting issues sooner than ever before. 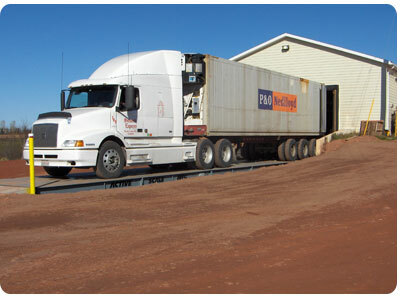 All product is stored in temperature controlled, ventilated storage facilities. 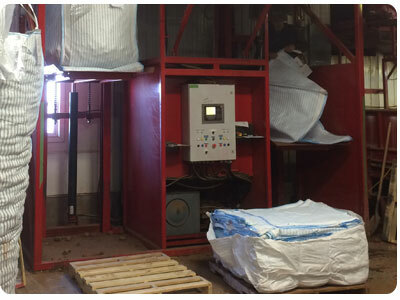 The storages are monitored on a daily basis to ensure proper oxygen, carbon dioxide and relative humidity levels. 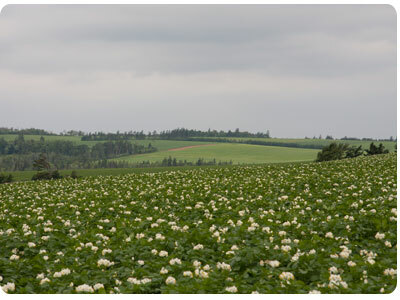 The more information we have relating to the quality of our product, the more power we have towards management and marketing decisions. 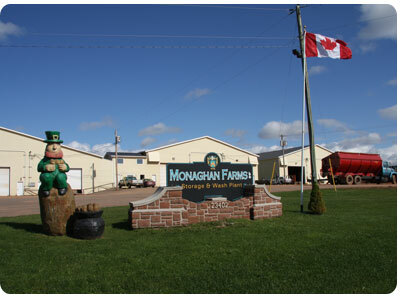 Monaghan Farms has invested heavily into our shipping facility to help us deliver the best possible quality. 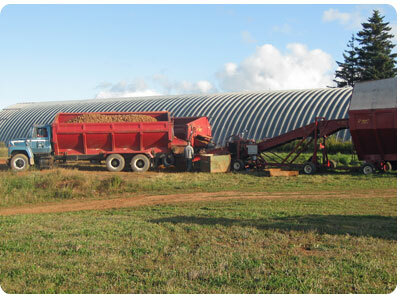 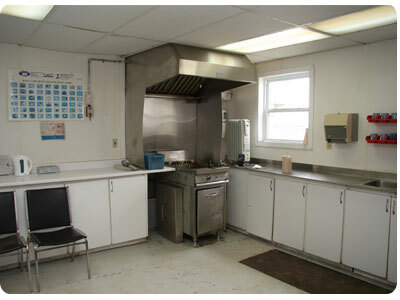 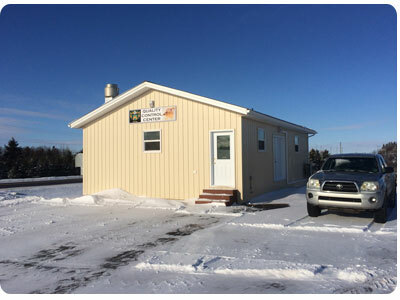 We have specifically designed our washplant facility to ensure proper potato handling. 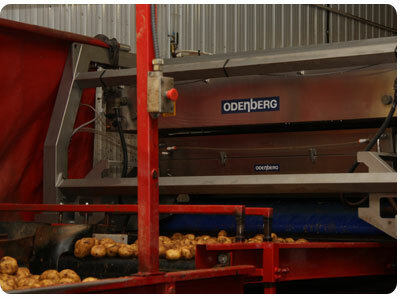 Our latest investment has been our industry leading mechanical sorter knows as an Odenberg. 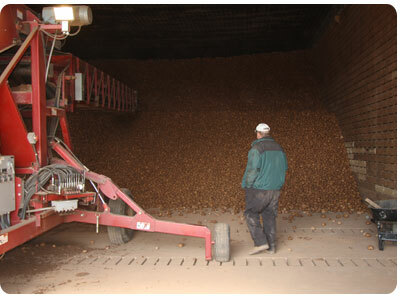 Hourly raw grades as well as fry and sugar sampling helps us guarantee the highest quality product gets sent to our valued customers.